One of my favorite types of articles to read on the internet has to be “life hacks”. I’m always looking for ways to make my life easier, and one of those not-so-easy tasks always seems to be packing lunches. We’re all trying to get out the door and to school/work on time, and as much as I hate to admit it, throwing together a quick and healthy lunch sometimes gets pushed to the backburner in favor of packaged snacks and last night’s leftovers. This year, I’m determined to get organized and put in the effort to make bagged lunches a win! And since I KNOW you’re in the same boat, check out a few of my favorite tips below. Happy lunchboxing, everyone! Keep a sliced apple from browning by wrapping it in plastic wrap or adding a few drops of lemon or other citrus juice to the slices. This keeps the fruit from oxidizing and keeps apples fresh and crisp! You can also use a rubber band to hold the slices together in the lunchbox until they’re ready to be eaten. Use silicone muffin liners as food separators. Not only will they add color to the box, they’re a great option for picky eaters! You can buy these on Amazon in all different shapes and sizes, and create your own Bento Box right at home. Pack our snackable pre-packed tomato containers for a healthy and convenient side at lunch. Make your own ice packs by freezing wet sponges in plastic sandwich bags. Another great ice pack alternative is to freeze Capri-Suns or water bottles that will keep food cold and thaw out just in time for lunch! Use cookie cutters to add a little fun to sandwiches, cheese, and fruits like cantaloupe and pineapple! Kids will love the variety, and it’s a great excuse to get them to eat more fruits and veggies. There you have it- don’t you feel more confident already? If you have any others you’d like to share, head down to the comments section! 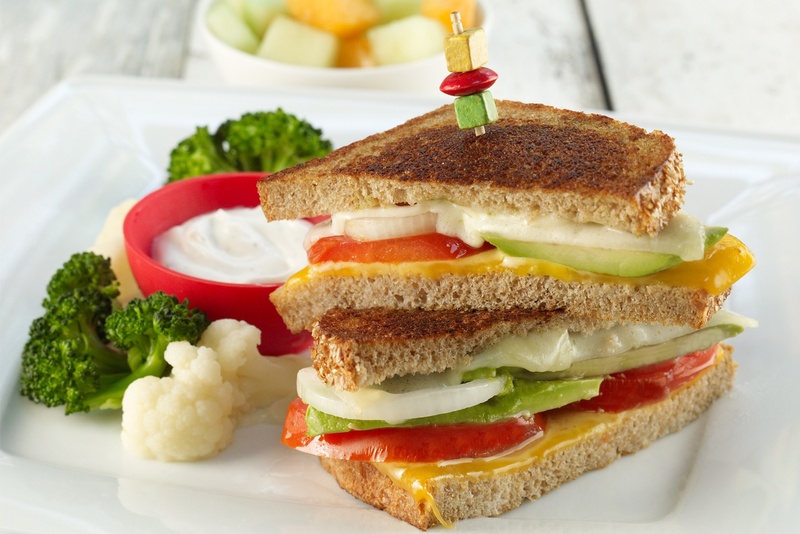 And if you’re looking for the perfect sandwich to pack along with all your new tips and tricks, try out our kid-approved take on the grilled cheese- it’s a total crowdpleaser. 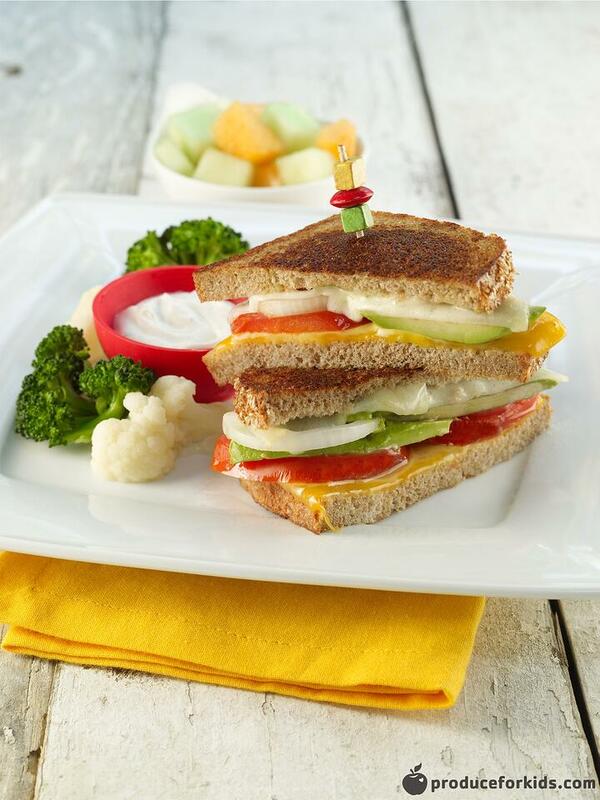 Onion, tomato and avocado turn the typical grilled cheese into a sweet, tangy and creamy lunch. Place bread butter-side-down in skillet; add cheddar, tomato, onion, avocado and provolone. Place bread on top with butter-side-up, and cook 2 minutes, or until lightly browned. Flip and continue cooking 2 minutes, or until cheese is melted.